Coco-fiber is a natural by-product from coconut farming in Sri Lanka. The liners are preformed with natural latex, so they are ready to fit right into your planter. NOTE: If using this liner for the Large Lotus Urn, you'll need to add moss or extra coco-fiber at the top. GREAT liners would have never found then in my town I Have looked everywhere for a number of years. They are Great the will last a long time, thank you so much. 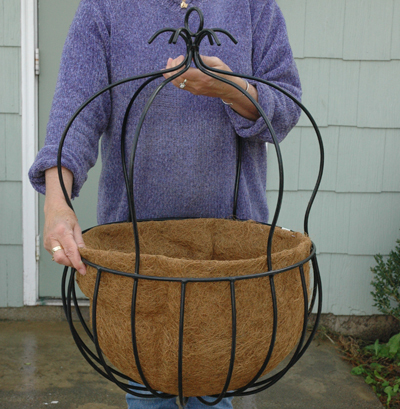 We have purchased many Kinsman Co products over the years, most recently a liner to fit a Kinsman hanging basket. 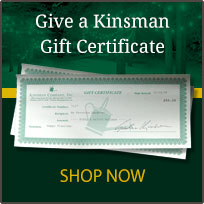 All the products are of high quality, love everything we have from Kinsman. This liner is hard to find. It was just perfect! The coco liners are excellent quality, the best I have seen. They fit beautifully into the hanging Imperial baskets, I'm very happy with them.